Summer 2017: Double Points Days Begin Today in the Restaurant Plus This Thursday in the Wine Cellar Michael's summertime offerings* (exclusive to Gulf Coast Connoisseur Club members) begin today, Monday, May 15 and continue through October! Michael's On East Earn Double Points on Mondays, Tuesdays and Wednesdays during lunch and dinner in the Restaurant. Plus GCCC members enjoy half-priced bottles of wine during lunch or dinner on "Wine Lovers Thursdays" in the Restaurant beginning this Thursday, May 18. 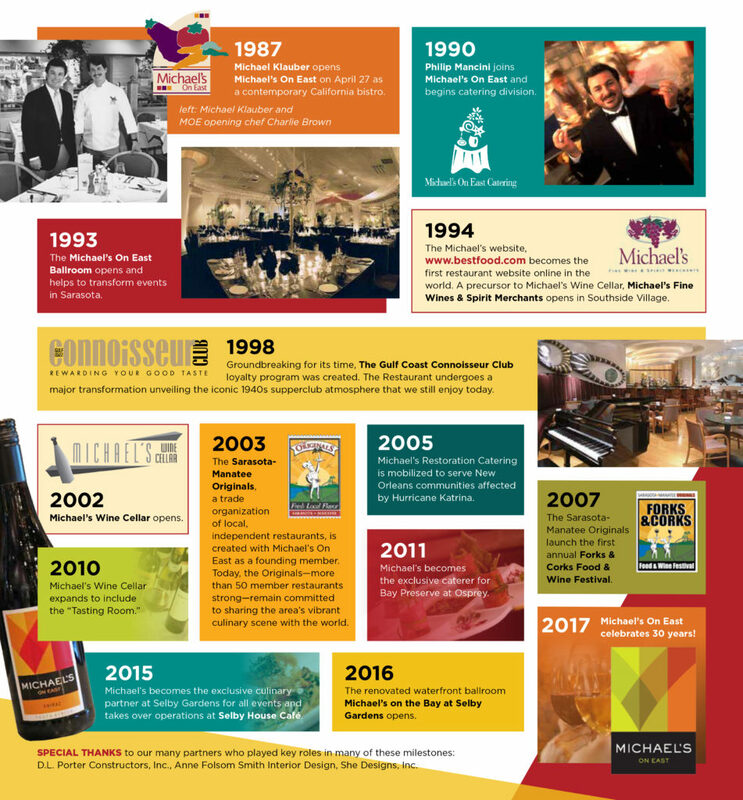 As an independently-owned and operated restaurant, Co-Proprietors Michael Klauber and Philip Mancini are proud to showcase dozens of family-owned and operated wineries through the wine program at Michael's On East. In fact, a majority of our wines are sourced from individuals Michael has had the privilege of knowing personally for decades. We encourage you to take advantage of this special offer every Thursday - and discover a few new favorite wines from our award-winning wine list! Michael's Wine Cellar Shop in-store and earn Double Points on Thursdays, 10 am - 6 pm. Michael's Wine Cellar offers premium & boutique spirits, imported & craft beers and more than 200 boutique wines under $20. Shop for great South African values, cult cabs from California and classics of the Old World including collectible and highly-rated Bordeaux and Côtes du Rhône wines. *Not valid with any other offers or discounts. Click here to make online reservations at Michael's On East. We look forward to seeing you soon as you continue to make the most of your membership in the Gulf Coast Connoisseur Club. We love rewarding you for your good taste! Click here to visit the Gulf Coast Connoisseur Club website. In celebration of “Savor Sarasota Restaurant Week,” Michael’s On East will offer specialty lunch ($16) and dinner ($32) menus, June 1-14, 2017. 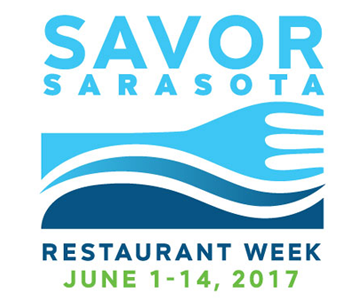 To learn more about participating restaurants in the 2017 Savor Sarasota Restaurant Week(s!) organized by Visit Sarasota County, click here. DINNER MENU STARTERS Crawfish Fritters Red Onion Relish, Tobiko Caviar and Lime Soy-Sweet Chili Sauce Blue Crab, Roasted Tomato & Jalapeño Bisque Roasted Corn & Avocado Salsa DINNER ENTREES Pan-Seared Black Grouper Fennel-Onion Confit, Roasted Fingerling Potato Chips, Caramelized Cipollini Onions, Thyme-Scented Heirloom Cherry Tomatoes, Crispy Pancetta & Clam Chowder Manchester Farm Grilled Quail Roasted Pearl Onions, Edamame, Sweet Potato & Parsnip Hash, Baby Arugula Salad & Burgundy au Jus Fig & Espresso-Braised Kobe Short Ribs Roasted Heirloom Carrots, Sautéed Rainbow Swiss Chard, Parsnip Purée & Chive au Jus DESSERTS Grand Marnier Panna Cotta & Summer Berry Sauce Gateau Opera Almond Jocund, Coffee Buttercream & Dark Chocolate Ganache Layers LUNCH MENU LUNCH ENTREES Grilled Spiced Skirt Steak Piquillo Pepper Romesco Sauce, Creamer Potato and Pancetta Hash, & Caramelized Pearl Onions, topped with Duck Egg Pan-Roasted Black Cod Crawfish Broth, Chorizo, Fingerling Potato Chips, Garlic Scented Broccolini & Roasted Heirloom Baby Carrots DESSERTS Grand Marnier Panna Cotta & Summer Berry Sauce Gateau Opera Almond Jocund, Coffee Buttercream & Dark Chocolate Ganache Layers WINE PAIRINGS 8.00 each during Lunch 15.00 for the pair during Dinner The Michael’s On East three-course “Savor Sarasota” dinner menu is available Monday through Saturday evenings for $32 per person, June 1-14, 2017. The two-course lunch offering features a choice of entrée and dessert for $16 per person and is available Monday through Friday, 11:30 a.m. to 2 p.m. Beginning on June 15 and continuing through June 30, Michael’s On East will extend the featured multi-course menus for $38.95 during dinner and $19.95 during lunch. Sarasota’s only AAA Four Diamond Award Restaurant, Michael’s On East is a contemporary fine dining restaurant located at 1212 East Avenue South, Sarasota, FL 34239. For reservations, call 941-366-0007, ext. 224 or click here for online reservations. Click here to vote now for Michael's On East in the 2017 Blended Burger Project. Michael’s On East has announced today that it will be participating in The James Beard Foundation’s (JBF) Blended Burger Project™, a nationwide contest and challenge to make a "blended burger" by blending ground meat with finely chopped mushrooms to create a delicious, healthier, and more sustainable burger. Executive Chef Jamil Pineda has chosen to feature the Mighty Murf Burger, to showcase a healthier burger, from May 30 through July 31, 2017. You can also visit a participating restaurant from Memorial Day, May 29 – July 31, 2017 (view the entire list at jamesbeard.org/blendedburgerproject/participants) and ask for the “blended burger." Note: Michael's On East will be closed on Memorial Day; please join us beginning on May 30! When the promotion concludes at 11:59pm EST on July 31st, 2017, the five (5) chefs with the most online votes will win a trip to the historic James Beard House in New York City where they will showcase their blended burgers at an exclusive event in 2018. New this year, customers who vote for their favorite blended burger online will also be entered to win an all-expenses paid trip for two to the 2018 Blended Burger event at the James Beard House. 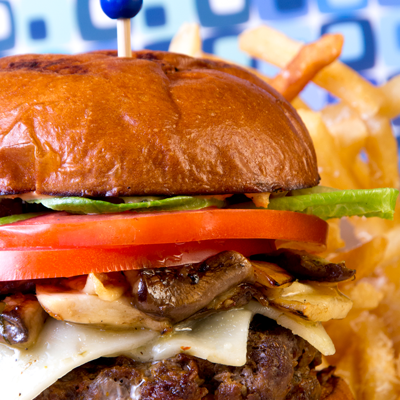 Visit jamesbeard.org/blendedburgerproject for a list of participating restaurants and follow #blendedburgerproject on Facebook, Twitter, and Instagram. Through June, Michael's On East will donate a percentage of beverage sales in the Restaurant's Lounge, 5-9 pm on Monday nights, to Save Our Seabirds! Michael's popular “Happy Hour” specials will be extended all night during this special promotion, allowing you to enjoy a glass of Michael's Private Label Wines, Draft Beers or Well Cocktails for $6 all evening while supporting this local nonprofit organization. About Save Our Seabirds The mission of Save Our Seabirds is to rescue, rehabilitate, and release sick and injured wild birds while educating the community about preventing injuries and preserving habitats. Each year, they respond to over 4,000 calls about birds in distress. Birds that have been treated but are unable to be returned to the wild are given permanent homes in their Wild Bird Learning Center. Located on the former site of "The Pelican Man Bird Sanctuary," across from Mote Marine Laboratory, the Wild Bird Learning Center is open to the public every day from 10 a.m. to 5 p.m. Save Our Seabirds provides a home to more than 120 birds (60+ species), with educational signage, fully accredited field trips, and training programs throughout the year. 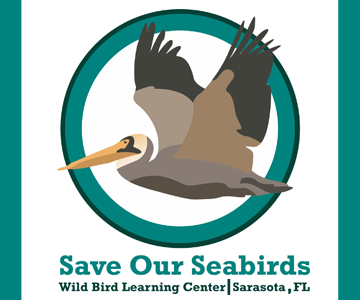 To learn more, call 941.388.3010 or visit www.saveourseabirds.org. Chef Jamil is back in the ABC 7 kitchen today sharing another recipe as part of Chef Judi's Dish. (In fact, Chef Judi Gallagher personally requested this dish earlier this month after sampling our current World's Best Epicurean Adventure!) 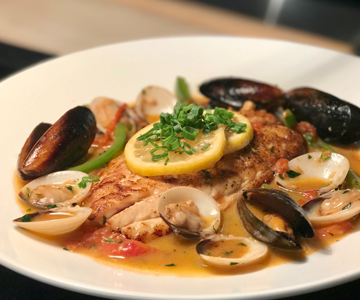 Snapper Portimão Pan-Seared Red Snapper, Mussels, Clams,Fresh Tomatoes, Green Peppers & Lemon Garlic White Wine Sauce Dish inspired by past Gulf Coast Connoisseur Club travels to Portugal; Recipe created by Michael’s On East Executive Chef Jamil Pineda as part of the “World’s Best” Epicurean Adventure (April 2017) in honor of the 30th anniversary of Michael’s On East Serves 4 4 6oz Yellowtail Snapper filets (another light fish could be substituted) 12 Black Mussels 12 Little Neck Clams ½ Green Pepper, julienne ½ Red Onion, julienne 1 Tomato, julienne 4 Garlic Cloves, sliced 1 Lemon, cut in wheels 1 cup Dry White Wine 4 ounces Unsalted Butter 3 ounces Olive Oil ½ cup Italian Parsley, Chopped Kosher Salt & Fresh Black Pepper to Taste Method In a sauté pan over medium high heat, add ½ the oil, season the fish with salt and pepper and place on the pan. Sear the fish on both sides until golden brown. Take the fish out of the pan and set aside. Return the pan to the stove and add the rest of the oil, onion, peppers, clams, lemon wheels, garlic, mussels and tomatoes, season with salt and pepper and cook for about 2 minutes. Add the fish back to the pan with the wine and butter and cook until all the mussels and clams are opened. (If it begins to get too dry, simply add more wine and butter.) Separate the fish into 4 pasta bowls. Place 3 clams and 3 mussels on each dish and spoon the sauce on top of the fish, sprinkle parsley on each dish and serve! Last week Michael enjoyed a sharing an anniversary toast with the hosts and viewers of Suncoast View on ABC 7, plus TWO birthday cakes since we have "Phil's Birthday Cake" as well as Michael's Birthday Cake" on this month's featured menu in the Restaurant, of course. 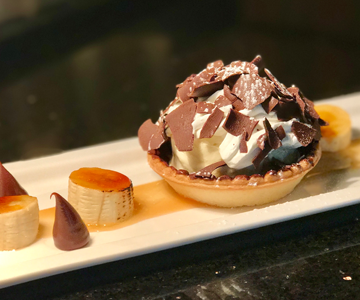 Our Executive Pastry Chef Catherine Tighe was kind enough to share the recipe below if you'd like to try one of these dessert creations at home! Michael’s Birthday Cake Dark Chocolate-Coated Cookie Crust, Bananas & White Chocolate Mousse Finished with Chocolate Shavings Created by Michael’s On East Executive Pastry Chef Catherine Tighe as part of the “World’s Best” Epicurean Adventure (April 2017) in honor of the 30th anniversary of Michael’s On East. (Named after Michael’s On East Co-Proprietor Michael Klauber, who loves Banana Cream Pie!) For the Pastry Crust 9 ounces Flour, sifted 2 ounces Powered Sugar 4.5 ounces Cold Butter 1 Egg A splash of Milk Preheat oven to 350 degrees. Sift the dry ingredients together. Rub butter into flour mixture with your fingers. Add the beaten egg and milk. Form into dough. Place dough into a flat round shape in plastic wrap and refrigerate. Roll dough out between 2 pieces of plastic wrap. Fit into tart pan, pick with fork and bake in oven until golden brown. Cool tart shell and brush with melted dark chocolate. For the White Chocolate Mousse 4 ½ cups Heavy Cream 8 ounces Belgian White Chocolate 8 Bananas Dark Chocolate Shavings Powdered Sugar to Garnish Chocolate Sauce (Optional) Bring ½ cup heavy cream to simmer. Chop Belgian white chocolate and place in bowl. Pour hot cream over and stir gently to make ganache, cool for 30 minutes. Whip the remaining 4 cups of heavy cream until firm (to a stiff consistency). Gently fold into the cooled ganache. Slice the bananas into 3 ¼ inch thick slices. Fold into the mousse. Fill the tart shell with the banana white chocolate mousse. Top with an abundance of shaved dark chocolate. Dust lightly with powdered sugar. Chill, slice and enjoy with chocolate sauce. It is our team's honor to host many special announcements and award ceremonies for clients on property, but it's especially humbling when we receive continued top honors from our industry! Michael’s On East Presented with 28th Consecutive AAA Four Diamond Award as its Leadership Prepares for 30th Anniversary One of Two Restaurants in Florida to Receive Honor for More Than 25 Years [caption id="attachment_9233" align="alignright" width="400"] Michael’s On East Co-Proprietors Michael Klauber and Philip Mancini accept the restaurant’s 28th consecutive AAA Four Diamond Award from Don Schwartz, Sarasota field manager for AAA, on Thursday, March 2, 2017. 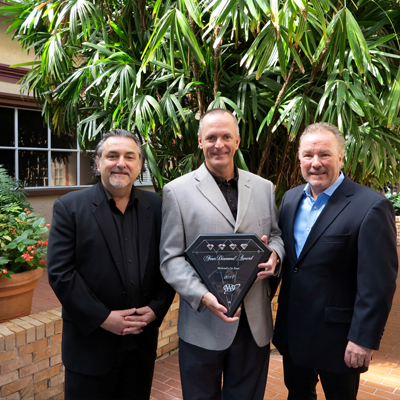 (Left to Right: Philip Mancini, Don Schwartz, Michael Klauber)[/caption] Michael’s On East has been awarded its 28th consecutive Four Diamond Rating by AAA. 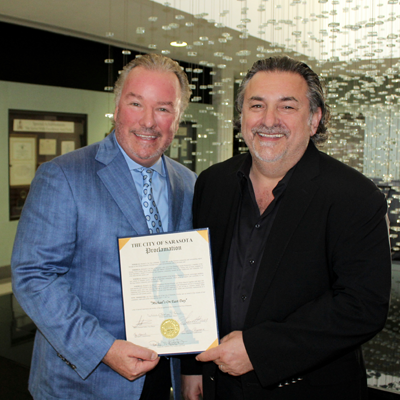 Michael’s On East Co-Proprietors Michael Klauber and Philip Mancini accepted the award during a brief presentation the morning of Thursday, March 2, 2017. 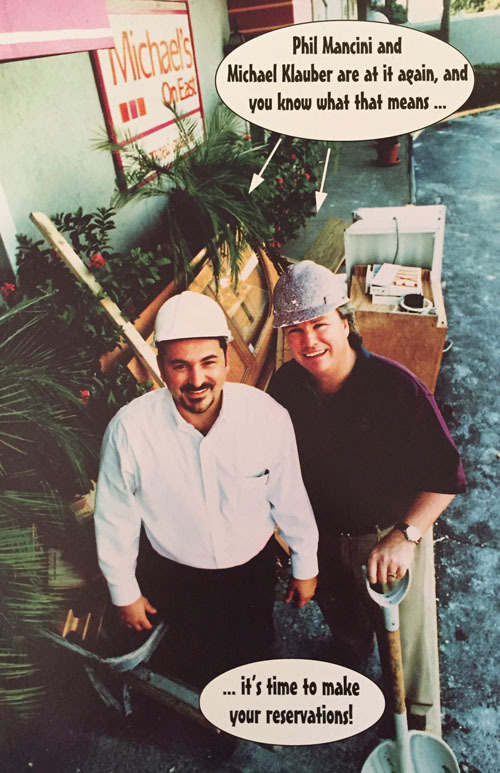 Michael’s On East is the only Four Diamond Award restaurant in Sarasota, Fla. “It’s hard to believe our staff has been recommending Michael’s On East for 30 years!” said Don Schwartz, Sarasota-Manatee field manager for AAA. As we present this 28th consecutive AAA Four Diamond Award, it’s important to recognize that Michael’s On East is one of only two restaurants in the entire state of Florida to maintain the AAA Four Diamond status for 25+ years.” Schwartz added that only 24 restaurants have held the Four Diamond status for more than 25 years across the United States and Canada The AAA Diamond Rating Process is North America’s premier restaurant rating program, performed each year by professionally-trained evaluators from AAA’s national headquarters. 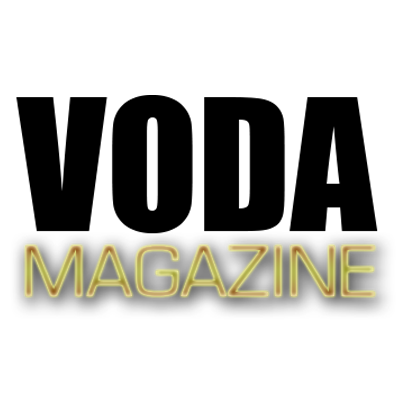 Only 2.5 percent of the nearly 30,000 restaurants rated are approved by the AAA Four Diamond list. “We value this important distinction from AAA and our entire team views it as a point of pride in the restaurant,” said Michael Klauber. 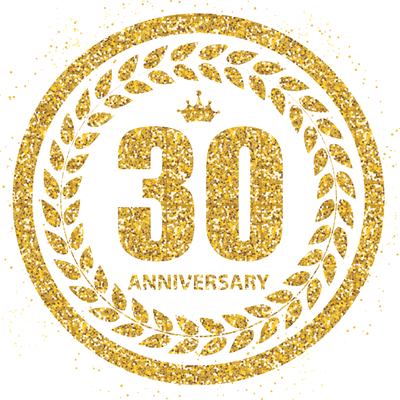 “As we officially mark the restaurant’s 30th anniversary next month—April 27, 2017—we continue to be incredibly thankful to continue offering Sarasota residents, businesses, nonprofit organizations and visitors ‘Four Diamond’ service and cuisine.” AAA defines a Four Diamond restaurant as being geared to individuals in search of a distinctive fine-dining experience. Often orchestrated by an executive chef and an accomplished staff, menus reflect a high degree of creativity and complexity, using imaginative presentations to enhance high quality, market-fresh ingredients. The equally proficient service staff demonstrates a strong desire to meet or exceed guest expectations. A wine steward is typically available to provide menu-specific knowledge on wine selection. The ambiance is highly refined, comfortable and well-coordinated, incorporating quality materials and a variety of upscale design enhancements to give a first-class impression. There are no payments or membership dues associated with the AAA rating system to ensure objective and trusted reviews. Michael’s On East is located at 1212 East Avenue South, Sarasota, 34239. For more information about all offerings from Michael’s On East Restaurant, Wine Cellar and Catering Division, call 941-366-0007 or visit www.bestfood.com. Allow us to introduce you to one special kid: Jasper. Jasper is a bit of a legend in the kitchen at the Lighthouse of Manasota where he's known to craft a very special sauce. We understand it's a complex blend of ketchup, mustard and mayo, but the most important (secret) ingredient is love. 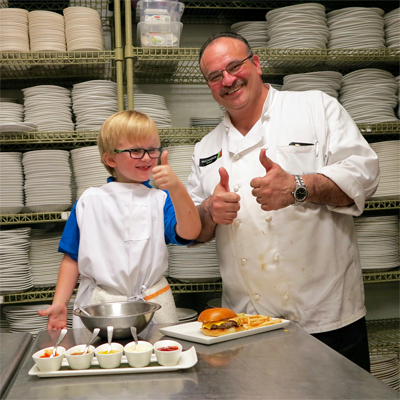 As a participant in programs at the Lighthouse of Manasota, Jasper and his family were kind enough to stop by the Michael's On East kitchen last week to show our Executive Chef Jamil Pineda a few tricks to delicious sauce making. (Chef Jamil reports it was the highlight of his week, and Jasper will make a fine "saucier" when he grows up.) We hope you'll be joining us (plus Jasper and family!) at Art in the Dark supporting the Lighthouse of Manasota on March 24. Click here for details about the special fundraising event. About the Lighthouse of Manasota Lighthouse of Manasota is the only nationally accredited, private, non-profit agency providing rehabilitation training to blind and visually impaired individuals of all ages residing in a five county region that includes Sarasota, Manatee, DeSoto, Charlotte and Highlands. 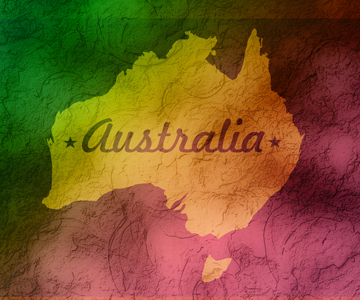 Its programs offer a holistic approach by providing training and rehabilitation to foster independence, productivity, and improved quality of life. 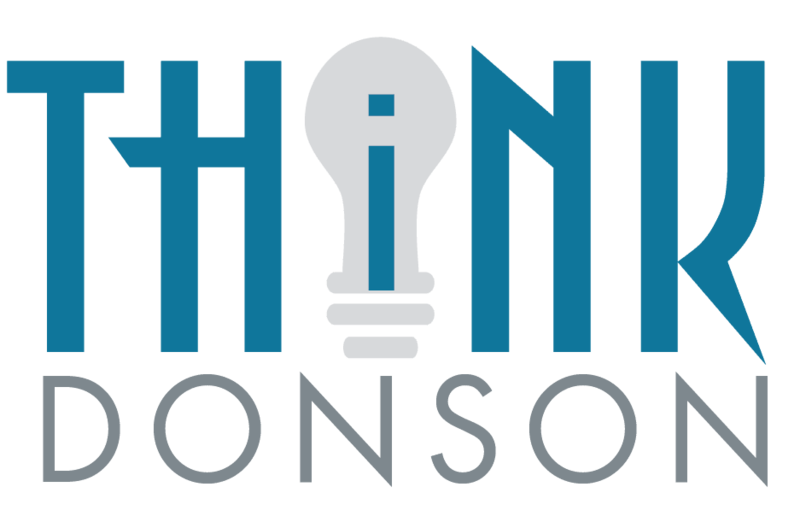 Based in Sarasota, Florida, the Lighthouse provides free, professionally taught classes and sponsors support groups across five counties. Through interview and assessment, classes and resources are carefully chosen to provide each client with skills to live independently and with confidence to undertake activities. The Lighthouse offers education, support and motivation within an environment that is enriching for individuals with vision loss. "On the hunt for the perfect destination wedding spot, Sarasota, Florida is the ultimate location! 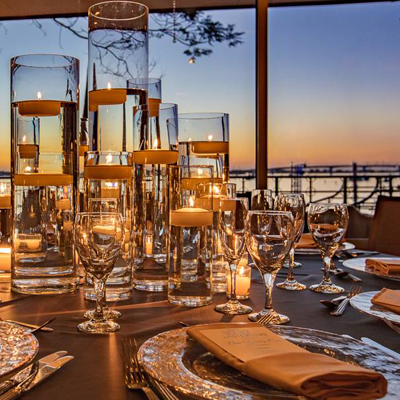 No where else can you get the perfect combination of glam, vintage, and romance, all right by the ocean! With beautiful beaches and a rich history, Sarasota is a one of a kind gem on the Gulf Coast that makes it a must for destination wedding couples! I had the privilege of visiting last fall and was blown away by the talented vendors and stunning venues. There really is something for everyone!!" We couldn't agree more! 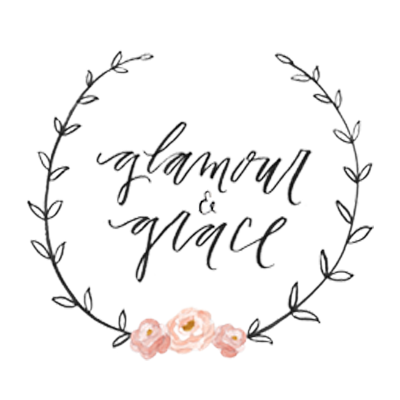 Click here to view the complete "Romantic Destinationn Weddings in Sarasota, Florida" article on Glamour and Grace Weddings. It's true. She's back, and we couldn't be happier! Chef Catherine returned to the Michael's Pastry Shop at the start of high season this year after a brief sabbatical (traveling from Oregon to Europe and back to Florida!). 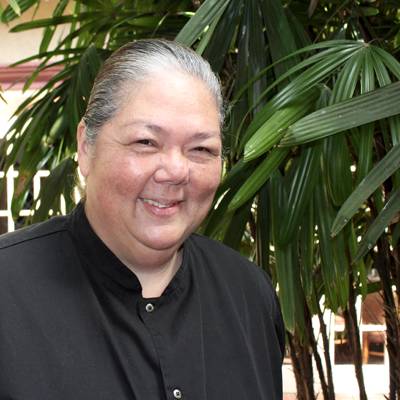 Thanks to the Herald-Tribune Media Group for profiling our own Catherine Tighe in this week's Chef Talk. Click here to read the complete article. Friday, March 31, 2017 Lunch Master Classes, 12:00 p.m, to 2:00 p.m.
State Street Eatery. $35 per person includes lunch and whiskies. Glenfiddich Family Spirits Single Malt Scotch with Tracie Franklin, Brand Ambassador. The Bijou Cafe. $35 per person includes lunch and whiskies. East Meets West: Beam Suntory Japanese & American Whiskey Showcase with Gardner Dunn and Philip Pepperdine, Brand Ambassadors. Super VIP Master Class with the Balvenie, 5:00 p.m. to 6:00 p.m. Michael’s Wine Cellar. Limited to 30 guests. Join Balvenie Ambassador Gemma Paterson for a flight of the Single Barrel range and other premium single malt Scotch. $60 per person includes light bites and premium whiskies. Grand Tasting and Master Classes, Michael’s On East (See times below) With over 250 whiskies available to sample, the Grand Tasting features dozens of the world’s premium global brands as well as many emerging craft distillers. Taught by industry professionals, our six seminar-style master classes present an opportunity for in-depth learning at these interactive tastings with distillers and professional brand ambassadors. VIP guests enjoy early class reservations beginning February 15. 10:45 p.m. After Party at Made RestaurantMaster Class Session 1, 8:00 p.m. to 8:45 p.m.
VIP admission is limited to 150 guests and includes one commemorative Glencairn glass and one hour early entrance at 6:30 pm. VIP hour pours of ultra-premium, fine, expensive, and rare spirits (details will be available on the event website). One $50 retail voucher for purchases and special orders placed on Friday, March 31, 2017 during the Whiskey Obsession Festival grand tasting. Priority seating at small group seminar classes (first come first served). Wine, soft drinks, buffet and hors d' oeuvres. Seating as available at small group seminar classes (first come first served). Companion admission is limited to 75 guests and includes entrance with VIP or general admission ticket holders. Saturday, April 1, 2017 Bourbon Rock & Blues Bash Powered by Woodford Reserve, 6:00 p.m. to 1:00 a.m. 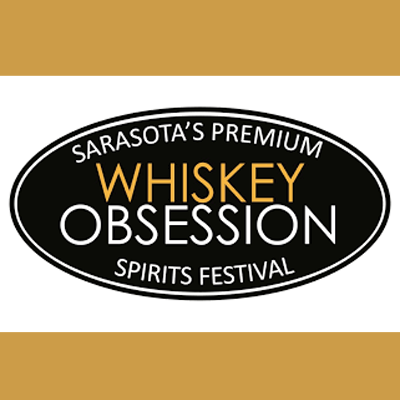 Whiskey Obsession Festival partners with Gator Club and the Harvey Milk Festival to conclude its series of events with the Bourbon Rock and Blues Bash, powered by Woodford Reserve. This free downtown Sarasota street party (between Lemon and State) will feature Brown Forman cocktails, craft beer, local food vendors and five local, regional and national rock and blues acts. This year’s lineup includes headliner Lower Dens, the praised indie pop-rock band from Baltimore, Maryland whose latest LP ‘Escape from Evil’ got a ‘Best New Music’ nod from Pitchfork and made the year-end ‘best of’ list on Gorilla vs. Bear. Florida southern rock and blues favorite Thomas Wynn and The Believers (Orlando) and Americana-flavored rock band Have Gun Will Travel (Bradenton) will also join, along with psych-rockers Luxury Mane (St. Petersburg) and local favorite RJ Howson (Sarasota) keeping the party alive until 1 a.m. Sarasota is a beautiful resort community on the Gulf of Mexico, an hour south of Tampa and two hours from Orlando. Sarasota boasts award winning beaches like Siesta Key as well as activities like golf, fishing, shopping, sports, polo, and fine dining. Cultural assets and performing arts abound, including opera, ballet, theatre, symphony, and live music. Tickets and information are available at whiskeyobsessionfestival.com. 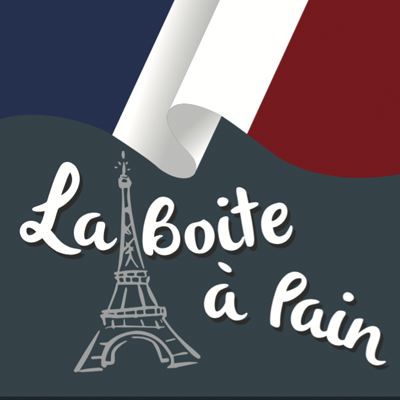 Officially called La Boîte à Pain ("The Bread Box", the Michael's On East culinary team is thrilled to offer "French street food" from our brand-new food truck at Selby Gardens during the special exhibition, Marc Chagall, Flowers, and the French Riviera: The Color of Dreams (through July 2017). Michael's is the exclusive culinary partner for the Gardens, so you can bet remarkable French delicacies will be featured in the Selby House Café by Michael's On East as well. 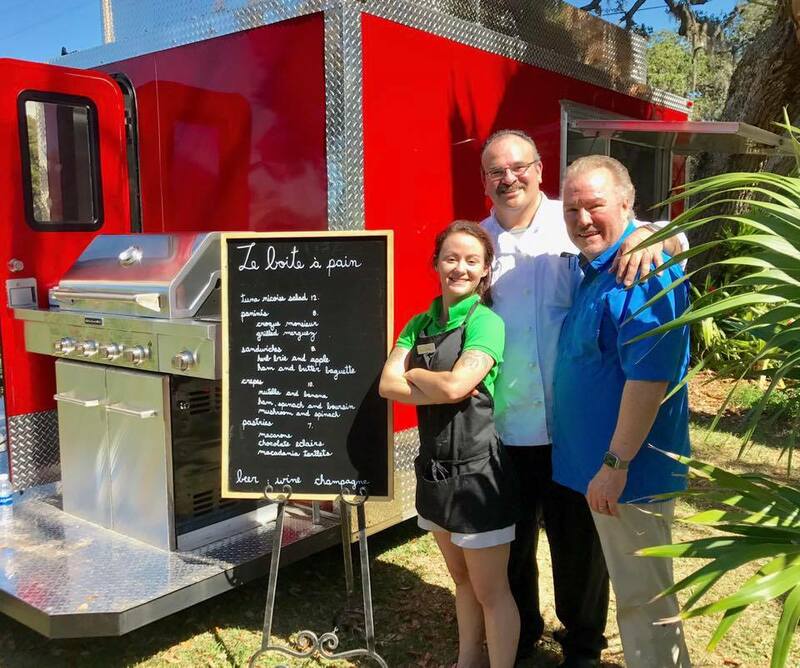 Located within the historic Selby House on-premise at Selby Gardens, the Cafe (as well as the new food truck) is open to Gardens visitors and members.